Over the holidays, our family became borderline obsessed with a board game that’s been making the rounds lately. In “Ticket to Ride,” players build train routes from coast to coast to connect major American cities, emulating the speed and cutthroat ambition of nineteenth-century railroad tycoons. If you’ve spent time with our family, it probably doesn’t come as a surprise that we stayed up until 2:00 AM one night, laying railroad tracks from Duluth to New Orleans and cutting bloodthirsty deals along the way. Competitive? I got it from my mama. But even in our basest moments, we had nothing on those mid-century monopolists who built the actual railroads. Henry Flagler, for example, teamed up with John D. Rockefeller (heard of him?) to launch the oil refining company Standard Oil in 1870. Standard Oil soon became the industry leader through a simple, cunning process: they bought out their competitors, drove a hard bargain on their suppliers and transporters, and eventually took over every part of the process so as to avoid costs or regulation. Flagler and Rockefeller controlled the oil refineries and the railroads, so both the production and the means of distribution. This, my friends, is called a monopoly – yet another board game that divides families and ends long-standing friendships. This approach garnered harsh criticism in the public and the press, but it made Flagler extremely rich. Which is why Julia Tuttle, a woman about her business, came to Flagler for a little chat. This is exactly how you expected Henry Flagler to look, isn’t it? Tuttle, like Flagler and Rockefeller, had grown up in chilly Cleveland, Ohio. After her husband died in 1886, and her father in 1891, Tuttle was on her own – and wanted to get to a warmer climate. She took a steamboat to southern Florida, where fewer than 1,000 people were living in Dade County. It was wild. It was the frontier. And it gave Tuttle a real glimmer of excitement to think of clearing all that land for some fresh skyscrapers. (Hey, I didn’t say she was an environmentalist). She started by building a hotel to service passerby. “It is the dream of my life to see this wilderness turned into a prosperous country,” she told a friend, already mentally cutting down trees and driving out the little forest creatures. Tuttle had a vision. She told local banker J.E. Lummus, “if you live your natural lifetime, you will see one hundred thousand people in this city.” Putting aside the vaguely threatening “if you live your natural lifetime” clause, J-Tutts was making no small plans, and she was going to be the one to see them through. In order to put the area on the map and attract more residents, Tuttle knew that it had to be a hub of transportation. She offered Flagler a deal: if he would extend his railroad to Dade County, she’d give him some of the mass of land she had acquired there. She wrote him and wrote him again, even traveling to him in person to make the request. …He said no. I mean, there were basically no people there, so it didn’t seem profitable. But back to Tuttle’s quest. In 1894, a massive freeze destroyed the citrus crops in central and northern Florida. Here 👏 We 👏 Go 👏 , thought Tuttle. Suddenly, still-warm southern Florida was looking a lot more interesting to Flagler. It was as if he had drawn a new route card in Ticket to Ride, and he was looking to lay some tracks. He struck a deal with Tuttle to extend his Florida East Coast Railway down to Dade County. In exchange, Tuttle provided the land for a hotel and train station, plus some extra. With a new railroad hub, residents voted (well, male residents voted) to create a new city on Tuttle’s land, in line with her vision, in 1896. Those same male residents wanted to name the city after Flagler. It was her land, and it was her idea. She built the town’s first hotel, laundry, bakery and dairy. But it was his railroad, and his power, and he was a He. Perhaps finally aware of his own propensity for self-inflation, Flagler suggested instead that they name the town Miami, a word adapted from the Algonquian language. Miami grew to a population of nearly 30,000 in 1920, up from just 1,680 in 1900. While Flagler grew richer and richer off this deal, Tuttle, who had given up much of her land and didn’t have a vertical monopoly structure in place, died in immense debt just two years after the city was incorporated. She was 49. 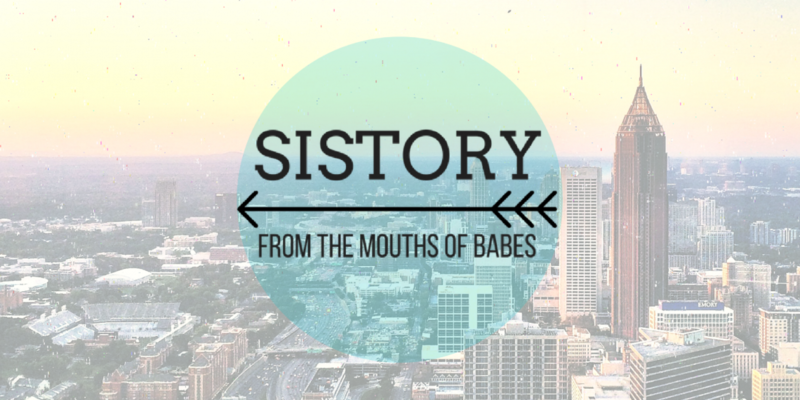 Because of her debt, she was largely forgotten in the city’s history. 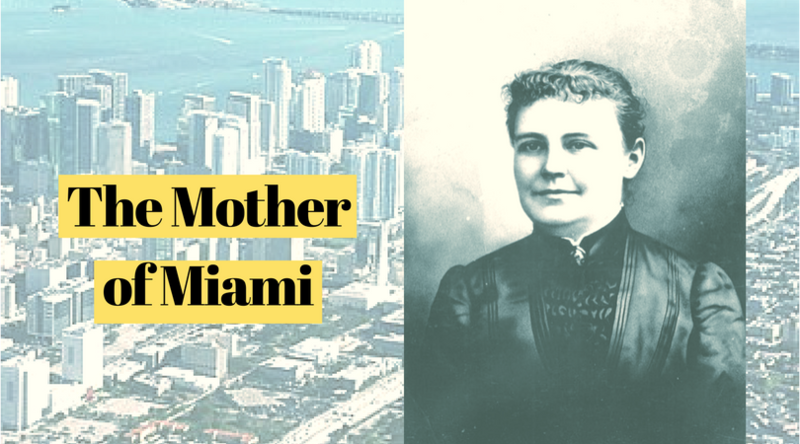 But recent decades have seen a push to remember Tuttle, the so-called “Mother of Miami,” and her contributions. Part of the interstate that runs through the city is named after her. In 2010, a ten-food statue was erected in a city park. And this year, an art deco hotel, The Julia, opened in her name, styled after the first hotel she built.